At Schreurs & Sons we've been growing and packing leeks year-round since 1984. Our leeks are available either loose or prepacked. 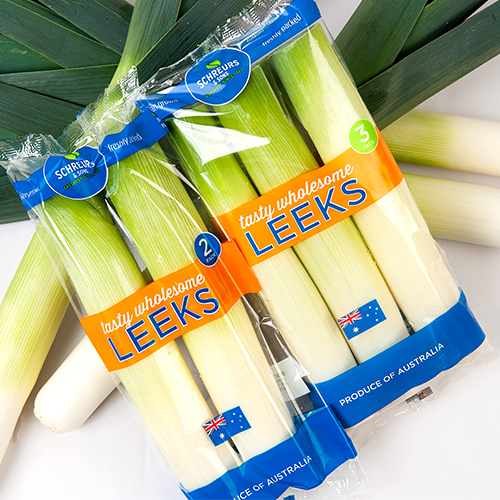 Our prepack leeks are cut using an innovative water jet cutter, washed with electrolysed water, and heat-sealed into clear branded bags. The electrolysed water treatment eliminates the need for chemicals to be added to the washing process and keeps our leeks fresh and safe for our customers. 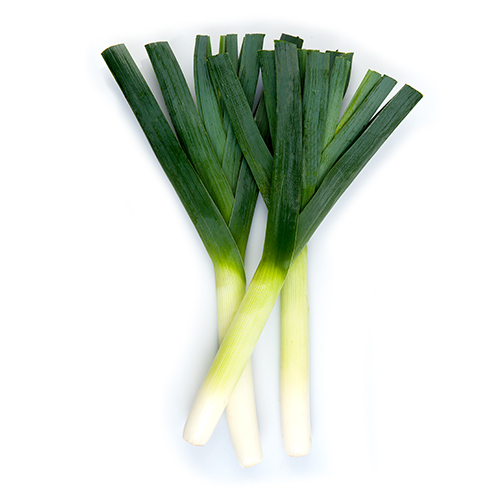 They are available in a twin or triple pack, and are pre-cut to remove the leaf and leave only the 'white' of the leek. Our leeks are available 12 months of the year. 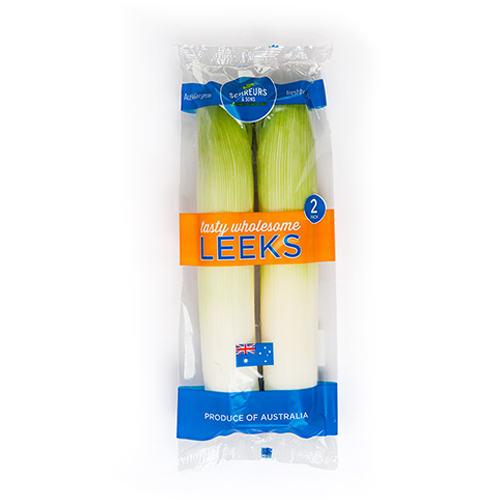 We distribute our leeks nationally, to local wholesale markets and supermarkets. We are currently exporting to Singapore, Hong Kong, Malaysia and Japan. 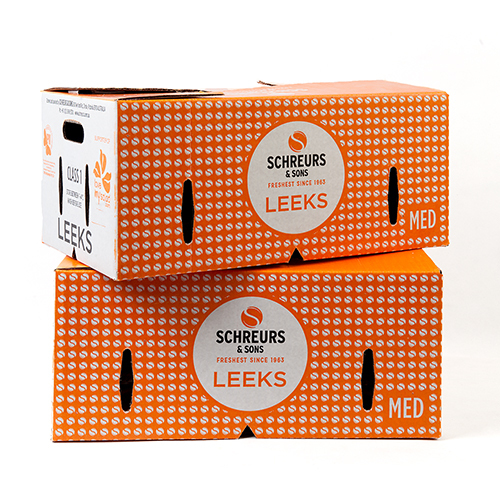 We supply leeks under our Schreurs & Sons brand, with our Tarwin Farms brand launching soon. Leeks are a great alternative for onions and can often be substituted for onions in many recipes. Fresh leeks should have matching green leaves, that are not wilting or yellowing. Wash them thoroughly to remove any leftover soil stuck between layers of leaves.